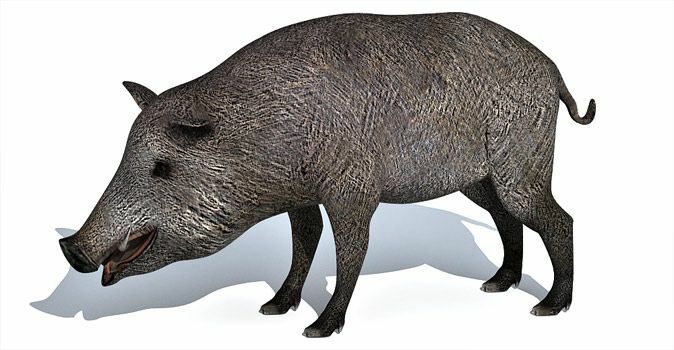 Realistic low poly 3d model of Boar with UVW mapping and textures. Quad faced mesh, model resolution can be increased by sub dividing the mesh with turbo smooth modifier in max or other equivalent modifier in Maya or Lightwave. Medium detailed model with high resolution Diffuse map at 1024 x 1024 pixels with Normal and displacement map. 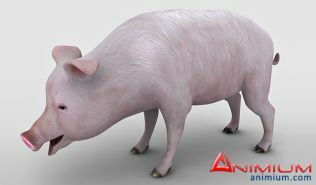 Included 3ds max and Obj formats. Model can be rigged and animated. Perfect for any kind of render and animation.